If you are interested in having commercial window treatments installed at your place of work in Clarksburg, Maryland, or a nearby community, turn to the dedicated experts at Beltway Blinds. With more than 50-years of combined experience, our company has helped businesses large and small enhance the appearance and functionality of their work environment with our window treatment solutions. Manufactured by only the most trusted names in the industry, such as Hunter Douglas and Norman Shutters, our commercial products that will suit any window and any budget. Roller shades – One of our most popular options for any size company, our roller shades are as cost-effective as they are attractive and can easily cover multiple windows or doors. 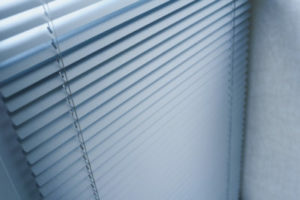 Blinds – For a more traditional yet sleek appearance, we offer a number of different styles of blinds to cater to any business environment’s needs. Before we install any window treatment in your workplace, our experts will first discuss with you the goals you have for your new products and will walk you through our options that best suit your unique needs. From there we will offer you a quote and schedule the installation at a time that provides the least disruption to your company’s every-day productivity. To learn more about the commercial window treatment options we have available for companies in and around Clarksburg, MD, contact Beltway Blinds today.